Kevin Smith owns a comic book store, named for his Jay and Silent Bob characters, called Jay and Silent Bob’s Secret Stash. Kevin Smith sold his comic collection to produce his first movie, Clerks. When the movie was a success and he got his money back, he got his comics back, too. 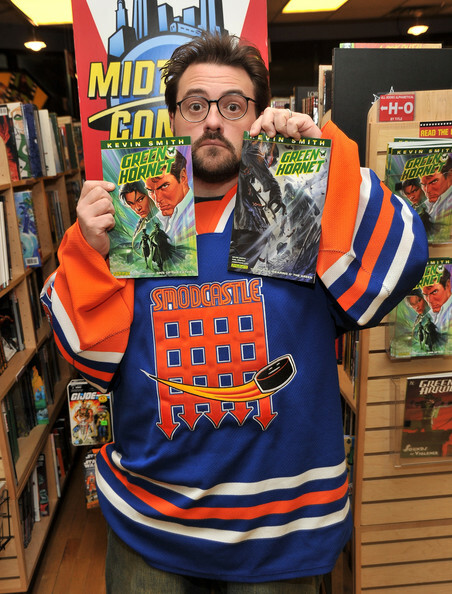 Kevin Smith’s love for comic books has resulted in him writing comic books, including Green Arrow, Daredevil, and Black Cat. Kevin Smith named the spawn of his loins, his daughter Harley Quinn Smith, after Batman “supervillain” Harley Quinn. Kevin Smith named two of his dogs Mulder and Scully; they loved him well and were well loved. Kevin Smith and his wife, Jennifer Schwalbach Smith, married at the Skywalker Ranch – yes, that Skywalker Ranch. Kevin Smith owned the screen-used Harley Quinn bat, used by Margot Robbie in Suicide Squad, which he gave to his daughter as a gift because of her namesake and her love for the actress and the character, earning him “most amazing Dad on the planet to a happy-weepy teenage girl” status. Kevin Smith has long wanted a Jay and Silent Bob video game and stated we’ve only waited this long because he wanted to be heavily involved but didn’t yet have the time to commit… but that time is now! Jay and Silent Bob: Chronic Blunt Punch is scheduled to release in Q4 2018. 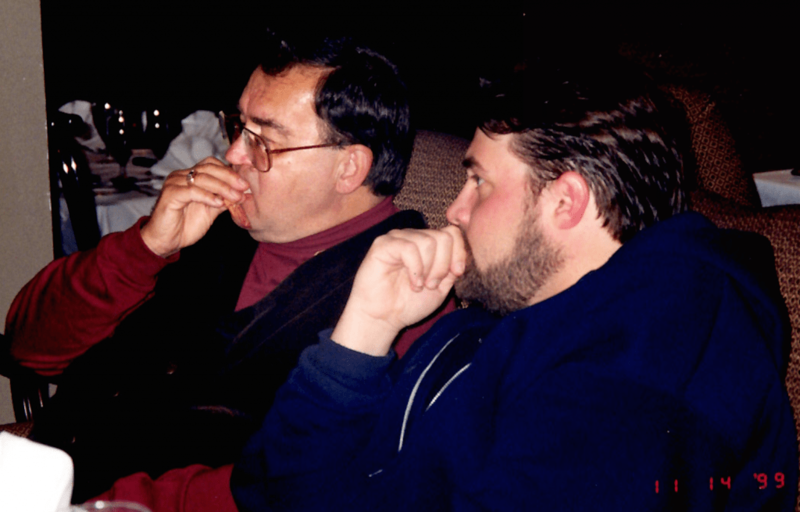 Kevin Smith played hooky every Wednesday to go to the movie theater with his dad, seeing classics such as Raiders of the Lost Ark, Superman II, and For Your Eyes Only. Kevin Smith is a Quentin Tarantino fan and, while their feature film careers began within a few short years of each other, Smith credits him with prompting his “life-changing” revelation that “we’re allowed to talk about other movies in movies now?”, which led to the geek culture-stroking Kevin Smith films you know and love. And so, on his birthday, like Smith thanks Tarantino, many nerdy minds among us thank Kevin Smith for our geek culture-stroking selves. So share this post, and wish the big man a happy birthday! got a nerdy mind? Write about it! Take a look around to see what we're about, and contact us with ideas of what you'd like to write for us or read from us! Keep up with Nerdy Minds by following @NerdyMindsMag on Twitter and liking Nerdy Minds Magazine on Facebook.